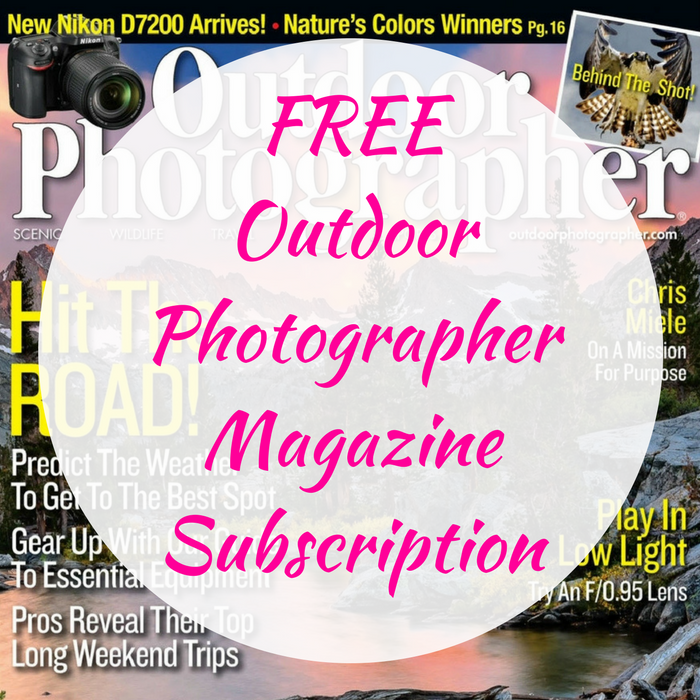 FREE Outdoor Photographer Magazine Subscription! You are here: Home / FREEbies / FREE Outdoor Photographer Magazine Subscription! FREEbie Alert! Click here to score a FREE Outdoor Photographer Magazine Subscription! All you need to do is just fill out the short form and expect your issues in 6 to 10 weeks. Make sure to select “No” to the offers after you fill out the form.